Join us for what’s sure to be an awesome night in AI! 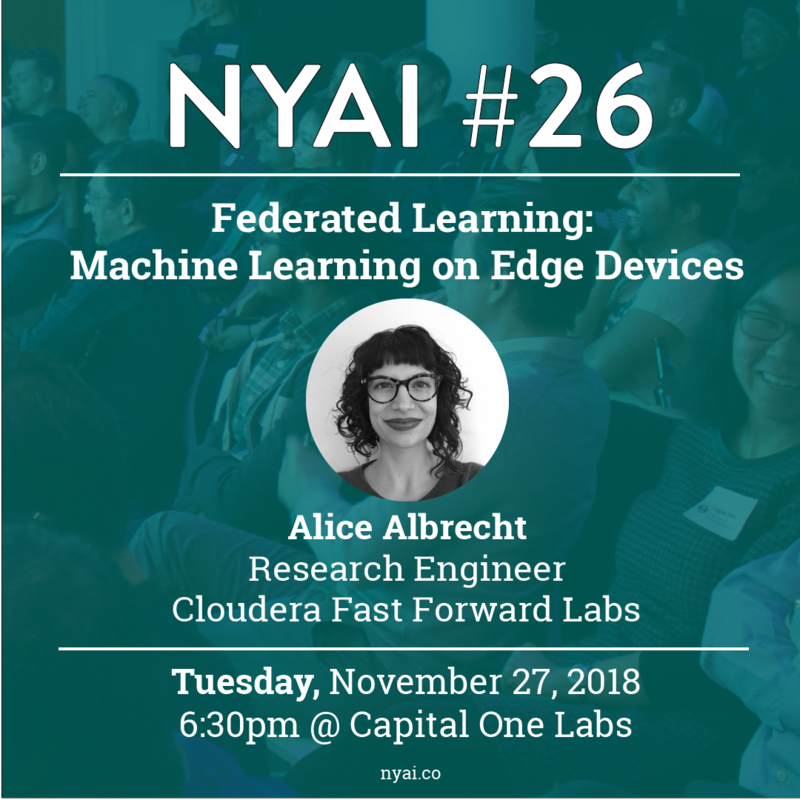 This month’s event is focused Federated Learning: Machine Learning on Edge Devices w Alice Albrecht (Research Engineer, Cloudera). This talk will be followed by a panel discussion (TBA). Federated learning enables us to build machine learning models using data collected by edge devices like smartphones and IoT devices, without moving data off the device. This minimizes concerns about privacy, data regulation, bandwidth, and storage, while providing similar results as centralized models. Examples include predictive text on cell phones, a person’s engagement with their own photos, and machine learning in the browser applied to corporate text archives such as a team Slack or Google Drive, and ML on low-powered field devices in energy, agriculture and logistics. The principles of data minimization established by the GDPR and the prevalence of smart sensors makes these use cases more common, and the advantages of federated learning more compelling. In this talk we’ll cover the algorithmic solutions and the product opportunities. Wine + Beer + Food + Desserts + AI + Networking = The Best Tuesday ever!